I love finding new recipes on Pinterest! They're almost always good. 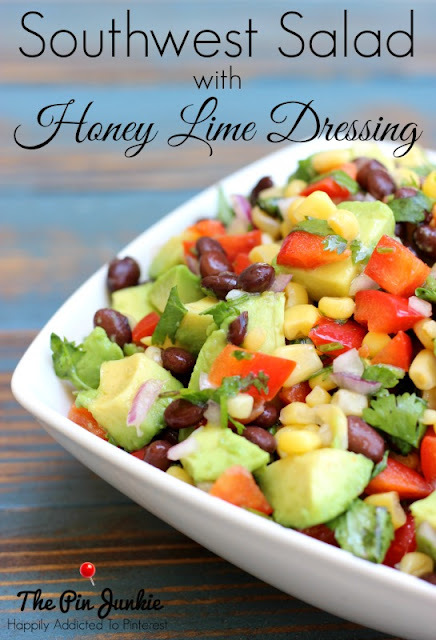 This southwest salad with honey lime dressing was no exception. I take my lunch to work and I've fallen into a rut of packing the same thing everyday. I was seriously ready to try something different, so off to Pinterest I went. I took inspiration from two different pins and altered the recipes to create my own. This southwest salad makes a great lunch, not only because it's absolutely delicious, but it's quick and easy to make. Just dump everything in a bowl and call it done! I love that I can make it ahead of time on Sunday and have something ready to go for Monday and Tuesday. I can just grab it from the fridge and go. You can serve the salad as it is, but I'm thinking it would also be yummy over a bed of crisp lettuce. I also really liked it as as salsa with corn ships! 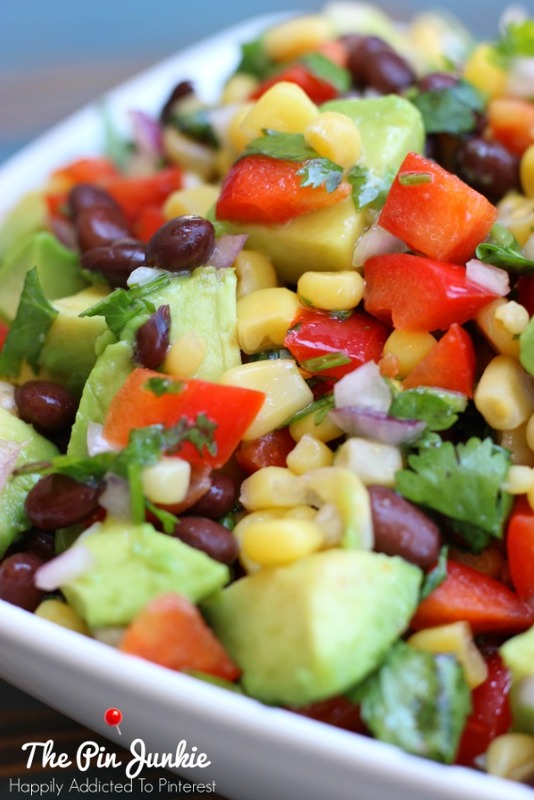 This recipe couldn't be any easier - just dump everything in a bowl and call it done! 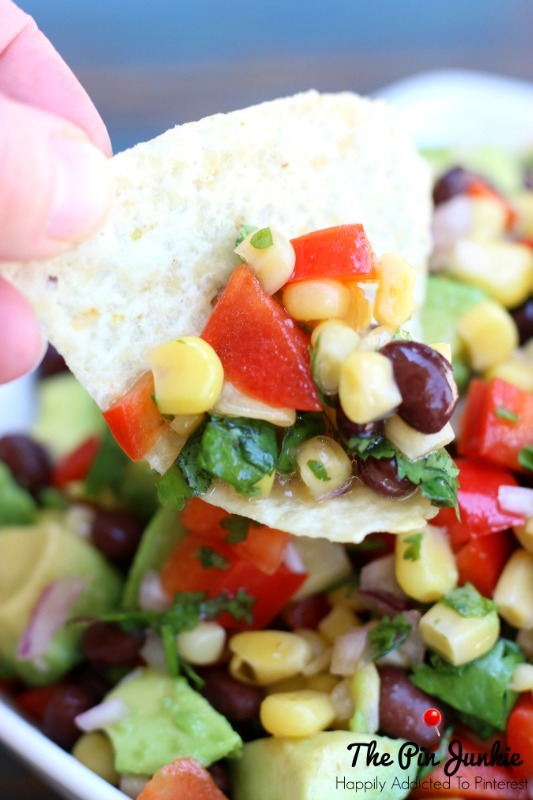 Enjoy as a tasty salad or use as a dip with chips. Drain and rinse the corn and beans. Chop the bell pepper, onion, avocado, and cilantro. Mix the lime juice, olive oil, and honey together. Pour over salad and toss. This project was inspired by pins from my Salad Recipes board. Looks really delicious. Thanks for sharing at bloggers brags pinterest party. Pinned! Oh wow...this sounds so delicious! I ended up making this for Fourth of July and everyone LOVED it. We had it as a side dish and it was fresh, refreshing and even stayed well for the next day's leftovers (today actually). Great recipe. Oh yum! This looks so colorful and delicious! Pinning. Thanks for sharing the recipe with SYC. love that flavor profile!!! definitely need to try this salad out! pinning & sharing!! I think that honey-lime dressing is perfect. Thanks for linking up to the Bloggers Brags party this week. I pinned your post to our group board. Looks so good and refreshing, great for summer. Popping over from Fridays Unfolded. This looks amazing! Thanks for sharing. Your salad looks delicious. Pinned & sharing.Thanks for sharing your recipe at the Inspiration Spotlight party. Hope to see you again soon.